You may think of a pickpocket as a person that bumps into you to steal your wallet, but now there’s a different kind of pickpocketing and it’s called electronic pickpocketing. How do RFID pickpockets work, and why can they be so devastating? Tech-savvy RFID pickpockets, which are also known as “digital thieves,” can now silently download your personal credit card information and ID data with handheld “skimming” devices, including some newer cell phones, that are simply held close to your wallet or purse. Yes, the information transmits through a wallet or purse. Why is this possible? It’s possible because many of the newly issued credit cards, driver’s licenses and all passports now have embedded RFID chips. RFID chips send out electromagnetic signals with all the information stored on the card for electronic readers to capture. In the case of your passport, they can even broadcast your photo. RFID technology is a good thing, but in the hands of RFID pickpockets, it can be devastating. So how do you protect yourself from electronic RFID pickpockets who use electronic readers? 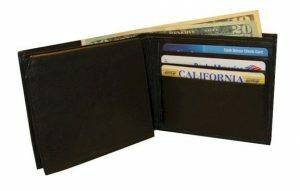 You need to use RFID blocking wallets, purses, or other RFID blocking gear. These items have metal fibers woven inside of them to block the RFID transmissions. You could also wrap your cards in foil to stop transmission. 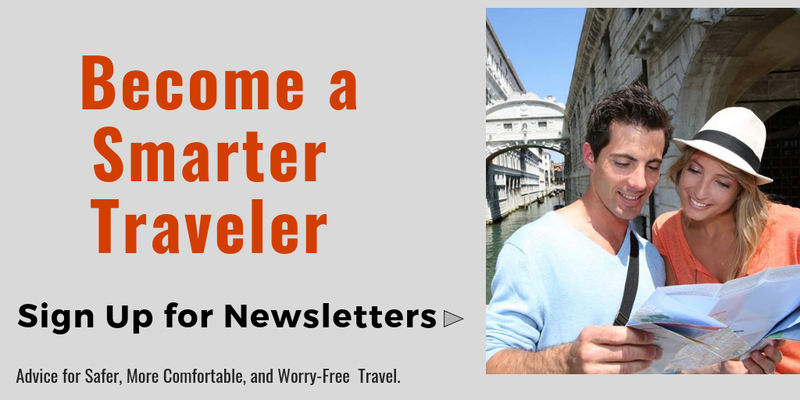 The latest travel wallets, purses, backpacks and other gear, have RFID shielding built into the material of the product for your security and peace of mind. Wallets, bags, and backpacks that contain this RFID blocking material look like ordinary wallets and purses, except depending on their design, the product may entirely have RFID shielding, or may just have dedicated pockets to RFID shielding. It is in these RFID blocking pockets where you would place your wallet or other digital ID. You are most vulnerable to pickpockets, both regular and electronic, in crowded situations or in places where you place your things down like hanging your bag on the back of a chair in a restaurant. The results of being electronically pickpocketed can be devastating, so consider outsmarting the bad guys with RFID blocking gear. For your peace of mind, see an extensive collection of RFID blocking travel gear . RFID stands for Radio Frequency Identification Devices. Today they are found in passports and credit cards to help speed up transactions. They transmit your account information plus personal details. Handheld scanners can read these chips through wallets and clothing up to several feet away. It is a form of electronically pickpocketing or identity theft. Newly issued credit cards, passports, and other IDs have embedded RFID chips. You can protect your personal data with the use of RFID blocking wallets and RFID blocking passport covers. These items contain a metal fiber mesh that makes a “cage” around the chip that radio waves cannot penetrate. All US Passports issued since October 2006 have RFID chips in them. The chip contains all the data that is on the first page including your photo. A growing number of states (New York, Michigan, Washington, Vermont) are now issuing special driver’s licenses “enhanced” with long-range RFID chips. RFID, Radio Frequency Identification, is the technology that lets you simply wave your credit or identification card, passport or license in front of a nearby scanner instead of having to slide the magnetic stripe through it. The electronic scanner sends a signal which is received by an antenna embedded into the card, which is connected to the card’s RFID chip, thus activating it. Unfortunately, criminals with minimal technical skills can construct their own clandestine RFID readers with a few simple supplies. These devices can steal your private financial information quickly and silently—all the perpetrator needs to do is come near your wallet with the hidden card reader. Does my Card Have an RFID Chip? This is the important part if your card is equipped with PayWave or blink, indicated by a logo on the front or back of the card, then it has an RFID chip embedded in it. The absence of a PayPass logo, however, does not mean that your card does not have an RFID chip—call the customer service number on the back of your card. If you cannot get an answer from your bank you should protect your cards anyway to ensure that you do not fall victim to identity theft. Imagine how the theft of your identity while traveling could negatively impact your trip! You should be concerned if you carry an American Express Card, Visa, Discover, MasterCard or a passport. Here’s the best and latest selection of RFID blocking wallets and gear to stop electronic pickpocketing.